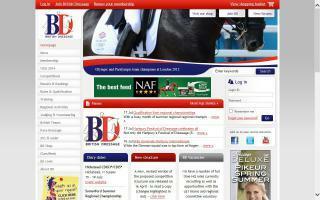 Dressage Organizations Directory - O Horse! Alice Springs Dressage Club, Northern Territory, Australia: dedicated to promoting dressage. A chapter of Rocky Mountain Dressage Society. The official governing body for all dressage activities in the UK. 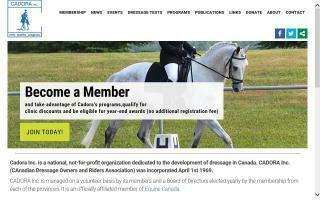 CAnadian Dressage Owners and Riders Association - CADORA Inc. Supporting and fostering dressage in Canada. "Based in Ithaca, New York, CDCT draws members from the counties surrounding Cayuga Lake and from Elmira, Binghamton, and other parts of the Southern Tier."